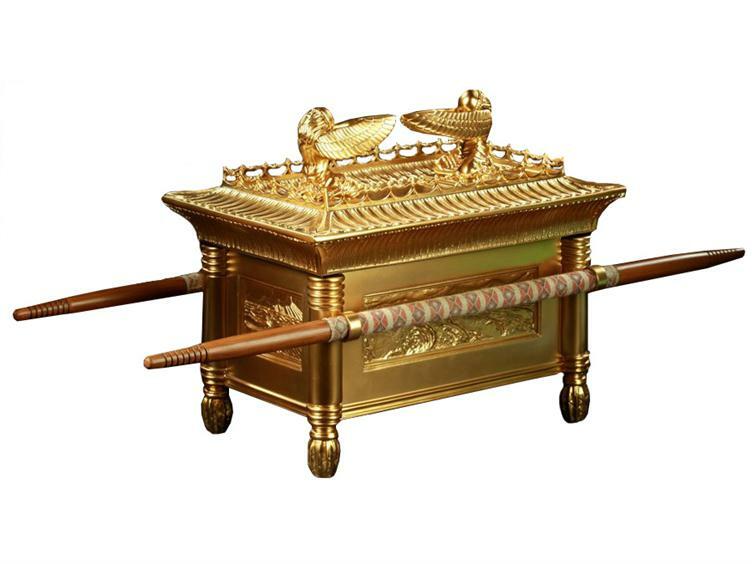 The Ark of the Covenant, that ancient repository of Israel’s religious treasures, has always incited interest. It disappeared from view in the destruction of the Temple by Nebuzaradan, which took place on 14th August 586 B.C. (2 Kings 25:8-10). The mystery of its possible survival / current location has fascinated scholars and adventurers ever since. Indeed, the Lost Ark has become a part of our cultural mythology e.g. ‘Raiders of the Lost Ark’. In the book of Revelation, Christians find an important indication about how we should think about the Lost Ark. We can imagine the first Christians reading this with bated breath; the Ark isn’t lost! We can imagine them rushing on to find out more. Fascinatingly, the next verse, the opening of chapter 12, seems at first glance to change subject completely. Which seems, for all the world, like a reference to Mary, the Mother of Jesus. What is going on? Has Saint John changed subject completely, or is there a link between chapter 11 and the Ark and chapter 12 and Mary? Hebrew 9:4 tells us that in the Ark. It is striking to see the parallels with Mary. The Ark contained the tablets of stone on which Moses had written the 10 commandments. Mary bore Jesus the Incarnate Word of God. The Ark contained a pot of Manna – God’s miraculous provision of food for the Israelites in their desert wanderings. Mary bore Jesus, the Living Bread. He who said ‘I am the living bread that came down from heaven. Whoever eats this bread will live for ever… Jesus said to them, ‘Very truly I tell you, unless you eat the flesh of the Son of Man and drink his blood, you have no life in you. Whoever eats my flesh and drinks my blood has eternal life, and I will raise them up at the last day. For my flesh is real food and my blood is real drink.’ (John 6:51-55 NIV). The Ark contained the rod of the first High Priest Aaron. Mary bore Jesus, the Eternal High Priest (Hebrews 4:14). But can this be correct? Are we to understand that in Christian symbolism Mary has become the Ark? Well, we find strong support in Luke 1 for this understanding. Here Mary, the dwelling place of Yahweh, is also presented as the new Ark of the Covenant. The passage (Luke 1:39-56) presents an account of a pregnant Mary’s visit to her older cousin Elizabeth, who is also pregnant with a boy who will be John the Baptist. This is presented as a parallel of 2 Samuel 6:9-15) where the Ark of the Covenant is brought to Jerusalem by King David. David and the people rejoiced in the presence of the Ark. Elizabeth and her unborn child rejoice in the presence of Mary. David leaped and danced for joy before the Ark. John the Baptist leaps in his mother’s womb. The Ark remained for 3 months in the house of Obed-Edom. Mary stays for 3 months with Elizabeth. So, for Christians at least, the location of the Ark of the Covenant is of only archaeological interest. We don’t need it. The New Testament Ark was not a permanent location for the presence of God, but merely a place of transit. Mary would bring forth her son, who would then leave the ‘Ark’. Firstly, His presence was geographically limited – he travelled around Palestine. But following His ascension to Heaven, the Spirit of Jesus would dwell inside each Christian. In effect we become Arks ourselves! This entry was posted in Ark of the Covenant, Bible and tagged Raiders of the lost ark by fuelforpilgrims. Bookmark the permalink.